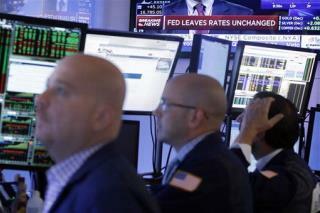 (Newser) – US stocks are closing lower as traders worry again about slowing global growth. The Dow Jones industrial average lost 78 points, or 0.5%, to 16,201 today. It had been down 263 points earlier. The Standard & Poor's 500 index fell six points, or 0.3%, to 1,932. The Nasdaq composite declined 18 points, or 0.4%, to 4,734. Can't believe, nobody made a comment? So, I guess this means that Social Security can be with 401K's.